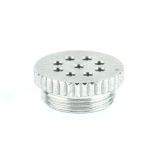 The stationary evaporators can be used in a wide variety of applications: whether for shisha or ballooning, aromatherapy or as a fragrance lamp. 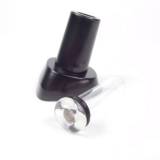 The large vaporizers are called for flexibility. 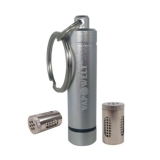 Ideal for the socket at home. 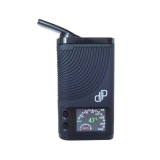 Whether powered by gas, lighter or battery / battery ... our portable vaporizers are the most popular devices on the market. 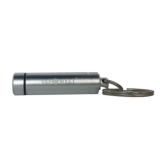 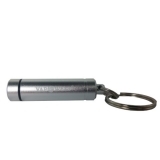 Small, handy and usable at any time. 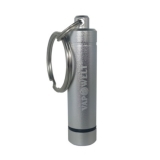 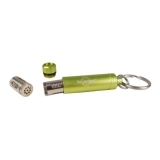 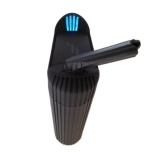 Pen vaporizer are small, handy and flexible. 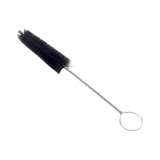 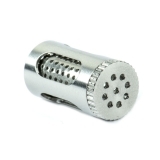 They look like e-cigarettes or ball-point pens and are ideal for the evaporation of herbs, waxes & liquids. 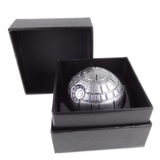 It is finally here! 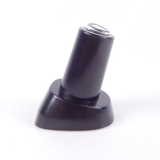 A must have item for all Mighty owners: the stand! 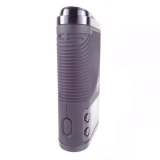 BOUNDLESS CFX VAPE is already a hit in the US and finally has reached our shores. 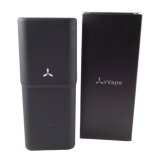 It is a cheaper but still high-quality alternative to Mighty and the CFX Vape is sure to captivate many vapor fans. 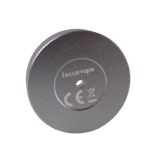 The new Focusvape Pro S doesnt only look good but also offers greater safety! 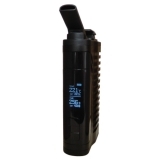 It is the top dog amongst the herb vaporizers! 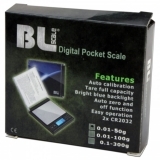 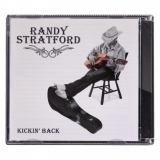 Digital scale in CD cover design. 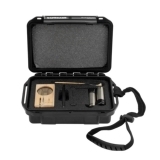 Wieighing range 0.1 g - 300 g.
Sturdy transport case made out of shock-resistant plastic for secure transport of your Iolite vaporizer. 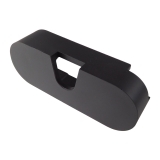 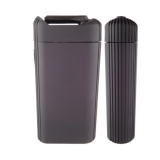 Strong VapeCase made of sturdy plastic for secure transport of your AirVape XS Vaporizer. 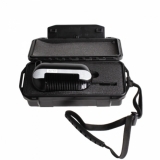 Sturdy transport case made out of shock-resistant plastic for secure transport of your Puffit Vaporizer. 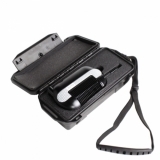 Sturdy transport case made out of shock-resistant plastic for secure transport of your Firefly-Vaporizer. 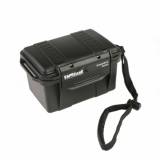 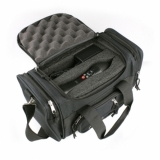 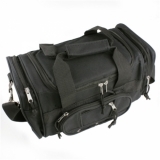 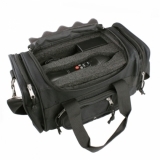 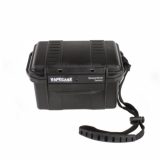 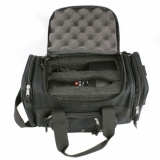 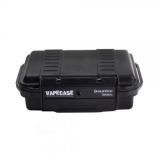 Sturdy transport case made out of shock-resistant plastic for secure transport of your Vapir NO2 V2. 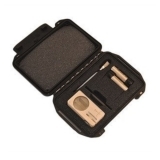 Sturdy transport case made out of shock-resistant plastic for secure transport of your Ascent vaporizer. 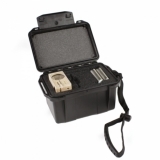 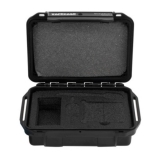 Sturdy transport case made out of shock-resistant plastic for secure transport of your FlowerMate vaporizer. 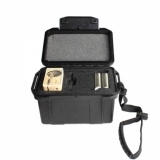 Sturdy case (one layer) for secure transport of your Magic Flight Launch Box and Muad-Dib. 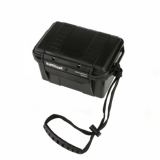 Sturdy bag made of shockproof plastic for secure transport of your Magic Flight Launch Box and dem Muad-Dib Concentrate (two layers). 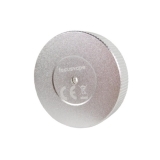 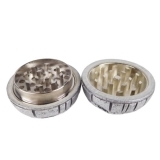 High-quality, three part grinder made out of CNC milled aluminum with 50 mm diameter. 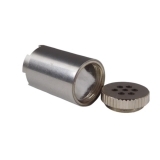 Ascent adapter for water pipes with 18 mm cut! 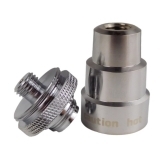 With the water filter adapter it is possible to connect the Flowermate 5.0/5.0S/5.0 Pro/5.0S Pro Models with a water filter or bong. 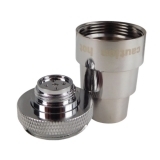 With the water filter adapter it is possible to combine the Launch Box (and other vaporizers) with a water filter or a bong. 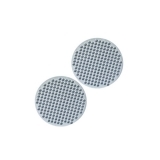 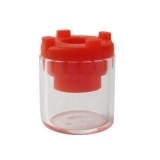 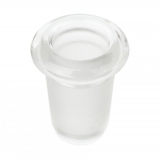 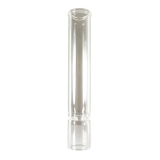 Arizer Water Filter Adapter for Arizer ArGo Vaporizer. 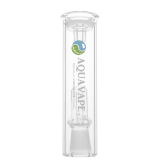 This water filter is made of robust borosilicate glass and provides for a more pleasant inhalation when using with different vaporizers. 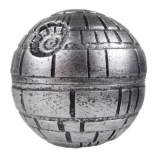 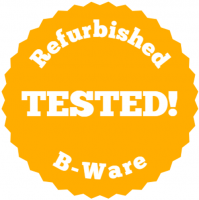 Our bestseller has been improved even further! 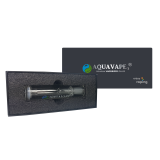 This Aquavape vaporizer water filter made of robust borosilicate glass provides for a more pleasant inhalation when using different vaporizers. 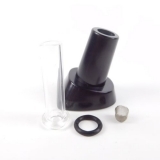 Easy Flow Bubbler Mouthpiece for Air/Solo Vaporizers! 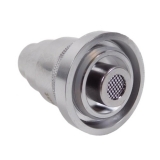 With the water filter adapter it is possible connect the Flowermate Aura Modelle to a water filter or a bong. 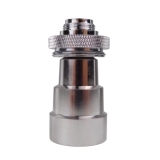 With the water filter adapter it is possible to combine the Flowermate 5.0/5.0S/5.0 Pro Models with a water filter or a bong. 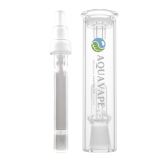 FlowerMate AURA/iHit AquaVape³ Water Filter Set comprises of an adapter with 14-18 cut and the AquaVape³ water filter. 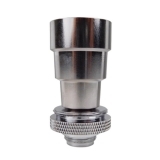 With the original water filter adapter it is possible to combine the Flowermate 5.0S Mini/5.0 ProMini/Hybrid X models with a water filter or a bong. 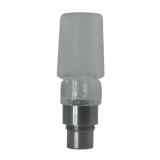 With this original glass mouthpiece from Flowermate your vaporizer will be immediately operational. 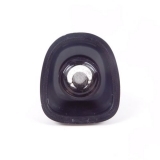 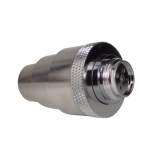 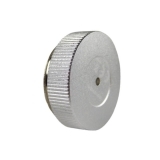 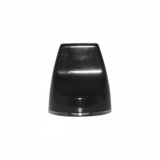 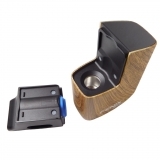 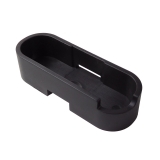 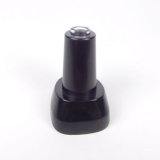 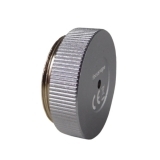 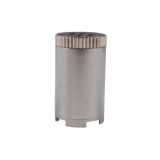 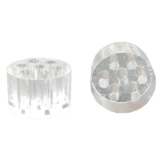 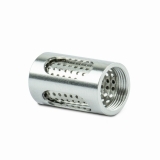 Flowermate AURA Replacement Mouthpiece for your vaporizer. 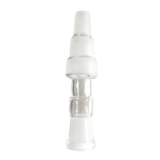 With this glass mouthpiece for Flowermate your vaporizer is immediately ready for use again. 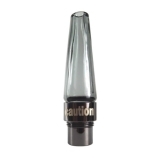 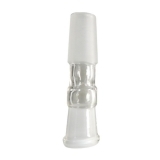 Mouthpiece made of glass incl. 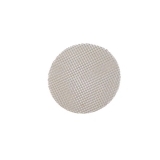 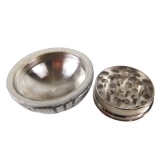 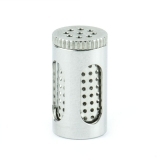 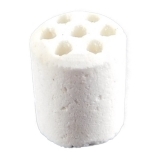 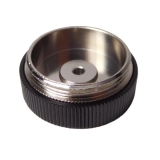 sieve for XVAPE X-Max V2 PRO Vaporizer. 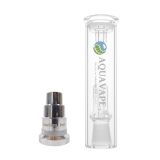 With this glass mouthpiece original from Flowermate your V5.0S Mini is immediately ready for use again. 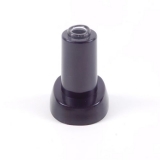 Original Arizer Easy Flow Mouthpiece short for Arizer Air/Solo Vaporizers. 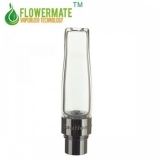 With this original glass mouthpiece from Flowermate, your vaporizer is ready for use again. 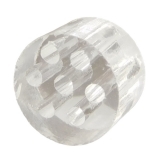 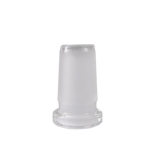 High-quality mouthpiece (from Vapowelt) made of pyrex borosilicate glass for Crafty/Mighty vaporizers. 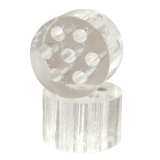 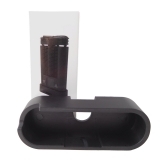 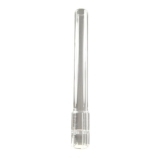 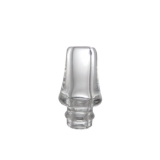 Arizer glass mouthpiece for Arizer ArGo vaporizer. 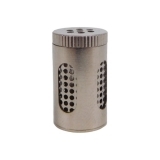 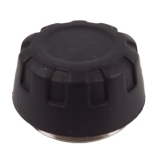 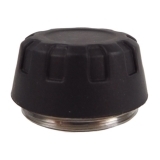 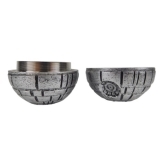 Concentrate capsule for XVAPE X-MAX V2 Pro Vaporizer. 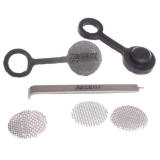 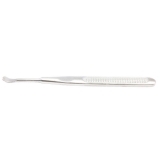 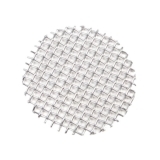 Flowermate AURA Sieve Set for mouthpiece. 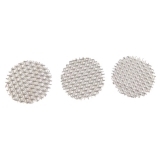 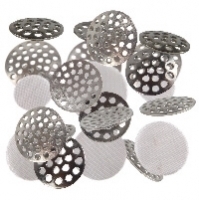 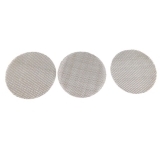 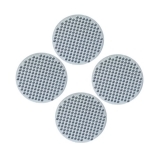 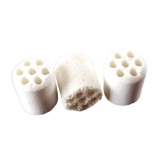 Sieve set suitable depending on diameter for vaporizers, water pipes and shishas. 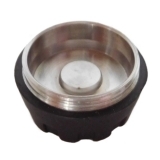 Ascent Oil Container Set for DaVinci Vaporizer! 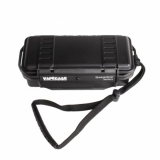 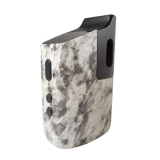 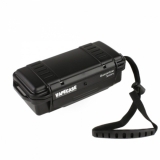 This protective cover protects the Vapir Prima casing against bumps and other potential damage. 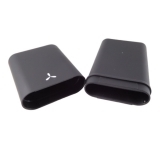 - and with the best possible support. 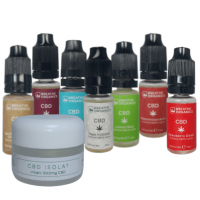 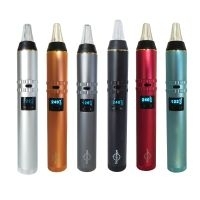 Discover our wide offer range of premium vaporizers: Whether you prefer to buy a portable Arizer Vaporizer or a static Volcano Vaporizer our well stocked online shop will provide you with the right device meeting your requirements. 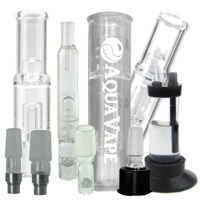 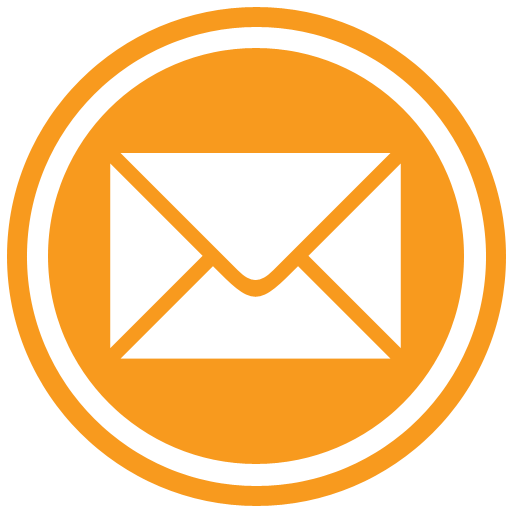 Rely on our carefully chosen quality selection of first-class vaporizer devices. 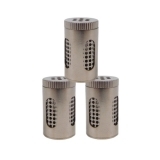 Incidentally, the most renowned manufacturers in this area are the long-standing suppliers Storz & Bickel and Arizer. 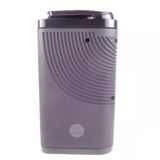 But the manufacturer Weecke with its FENIX vaporizers has made a very good impression in recent years. 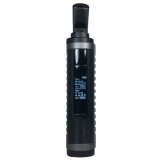 With us you can buy all FENiX vaporizers cheaply. 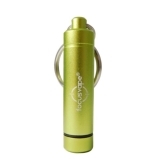 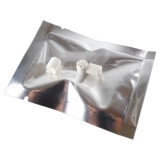 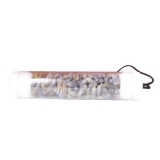 You want to enjoy the beneficient effect of vaporizing herbs whilst on the move? 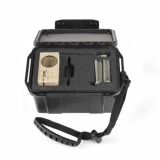 Then the portable vaporizers are the perfect solution! 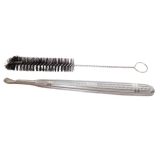 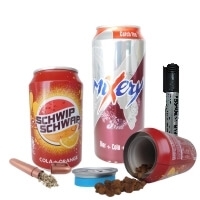 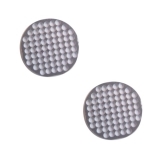 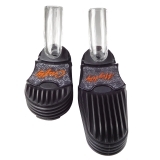 They are extremely handy and can be used at all times and everywhere without any specific problems. 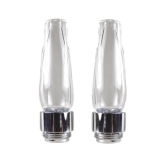 The devices we offer distinguish themselves with great workmanship and high-quality finishing and materials - ideal conditions for a sensual aroma pleasure. 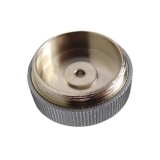 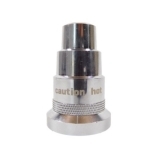 Whether you purchase an Arizer or Crafty or Mighty Vaporizer, You are able to order the right spare parts any time you might need them. 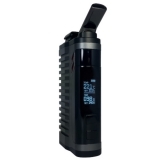 Whether you prefer vaporizers with conduction technology or vaporizers with convection, in our well-stocked vaporizer shop you will find all the latest models and will definitely find what you are looking for. 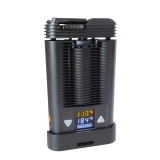 Take a look at the new and incredibly portable FENiX 2.0 convection vaporizer with the new and innovative Air Heating convection technology, a large 4400 mAh battery and a large titanium heating chamber. 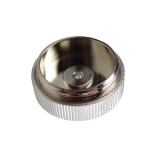 Even the small but strong brother of the FENiX 2.0, the FENiX Mini vaporizer with large stainless steel heating chamber is also heated by convection and is extremely compact. 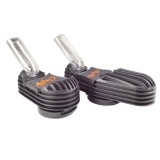 The top dog among mobile vaporizers has long been on the market, but no less functional: the Mighty vaporizer from Storz & Bickel offers quality "made in Germany". 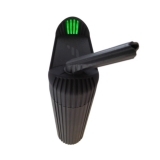 Should you be looking for a pen vaporizer then you will also find a wide selection of exquisite models in our shop. 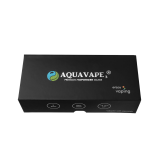 Take a look at our handy Focusvape Pro Vaporizer or Focusvape Pro S Vaporizer or the stylish DaVinci IQ Vaporizer and order your individual desired product at fair prices! 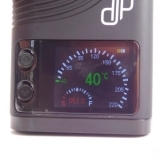 Should you not be sure in regards to a certain vaporizer then please make use of our comprehensive vaporizer comparison or the vaporizer test. 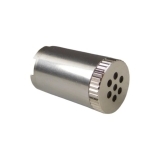 E-cigarettes and tobacco heaters: the new trend! 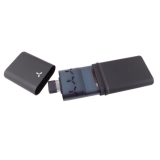 E-cigarettes have been on the market for several years. 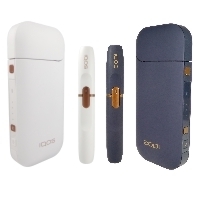 But tobacco heaters like the IQOS vaporizer are the new trend. 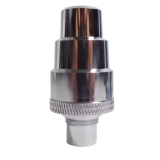 With e-cigarettes, you can vaporize liquids (so-called e-liquids) in different flavors with or without nicotine. 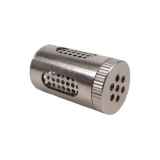 With tobacco heaters you vaporize the tobacco. 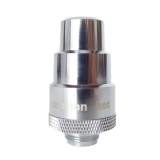 Here, as with e-cigarettes, there is no burning, as the tobacco is only heated. 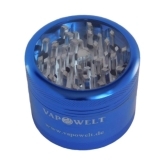 Vapowelt.de offers a 30 day right of return and a lowest price guarantee! 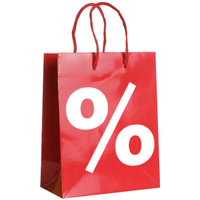 So that you are not buying a pig in a poke and don't have to make your mind immediately we provide you with a 30 day right of return. 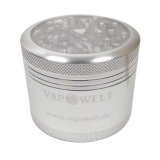 Our 14 day lowest price guarantee gives you the additional assurance that you won't be paying more for a vaporizer than in any other German shop. 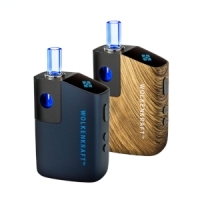 Should you find within 14 days after purchase the product cheaper on another German vaporizer shop then please get in touch with us and we will lower the price respectively. 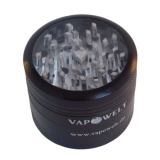 Vapowelt-Team hopes you have a lot of fun browsing through our shop and with your chosen new vaporizer!